This laparoskopic trainer is a universal device for the training of skills needed in laparoscopic surgery. The trainer consists of laparoscopic torso with its own camera and display units with LED monitor. No additional equipment is needed to use this instrument. 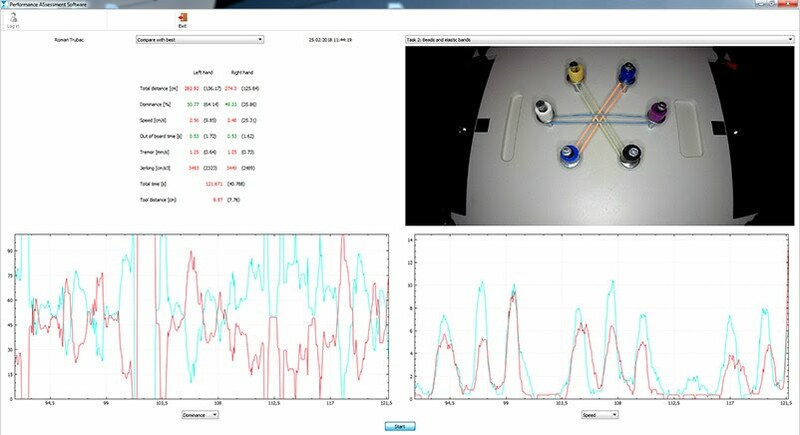 Thanks to a movable camera it is possible to change a visual angle of an operating space. One side of a trainer‘s covering dome is transparent, the other side is covered by metalic foil. This arrangement enables training in two modes. Basic mode allows absolute beginners to control training of laparoscopic instruments under the direct eye control. In an advanced mode the control of an operation space is possible only by means of display on a screen. This mode provides a perfect simulation of a real laparoscopic operating to more advanced surgeons. Sixteen ports on the top of the trainer enable introducing the instrument in different directions, including simulation of the single port techniques. 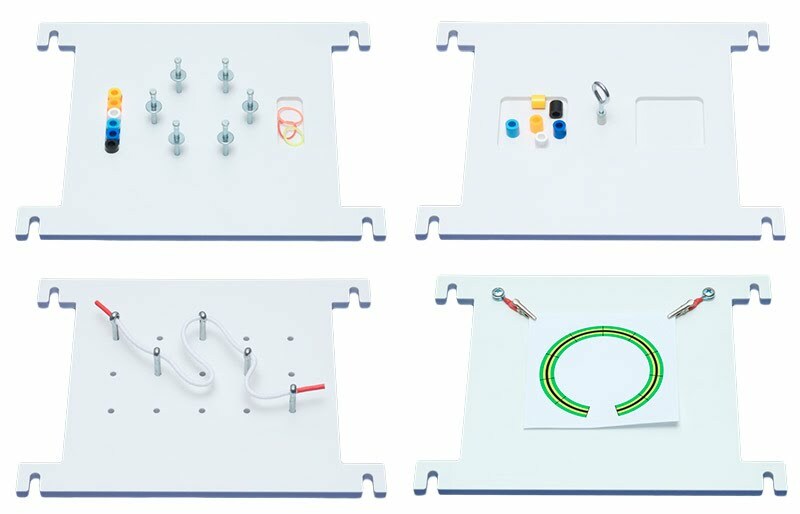 Using the flexible mounting system a wide range of training objects may be fixed in the operating space of the trainer from special training devices across tissue and organ models to the actual biological specimen. Specimen mounting tray, Basic suturing set, Skills set (4 tasks), Maryland forceps (2 pcs), Metzenbaum scissors and Performance ASsessment Software [PASS] (only with Professor model). 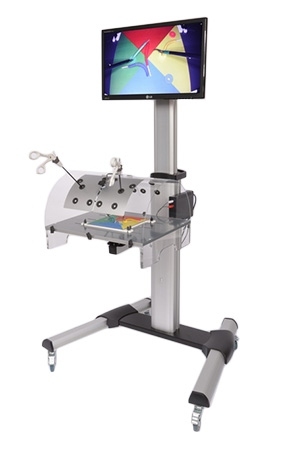 LT016 Laparoscopic Trainer „STUDENT Full HD 1.6“ Full HD imagining on 22" LED display. LT017 Laparoscopic Trainer „TEACHER Full HD 1.7“ Additional HDMI otput for connection to a projector or the second display. Additional USB interface, Performance ASsessment Software [PASS]. Full HD LED monitor 22"
USB port for PC connection (only LT018 Full HD Profesor). LED Full HD display 22"
Each model is available as Desktop trainer with 22" LED monitor or Training station with movable stand and 23" LED monitor ('s' items). PASS is our brand new software developed in cooperation with the Technical University Brno. With PASS you may have each exercise assessed and recorded in Full HD. PASS also enables comparing recent results with parameters from previous attempts and thus follow the development of your skills. PASS is designed for multiple users. Besides training objects it is possible to make a training with real biological tissues, what makes the training very close to reality. Real laparoscopic instruments are used during the training. This arrangement guarantees perfect skills for routine usage.